We love facial oils and we are lucky to discover our new must-have. 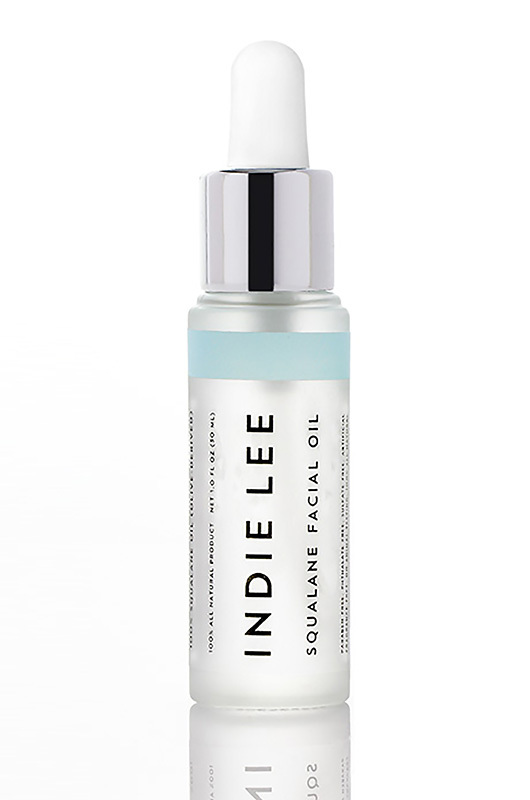 Indie Lee Squalane Facial Oil it is natural,awesome stuff. Our favorite things about this product are that it combines a strong ecological message with a wonderfully effective product. It is always a good day when we can be conscious about the products we are putting in and on our body. As Ms. Lee reminds us, our skin is the body’s largest organ, and we are constantly exposing this organ to chemicals and toxins. We at My Top Face have put a major emphasis on the importance of natural beauty. 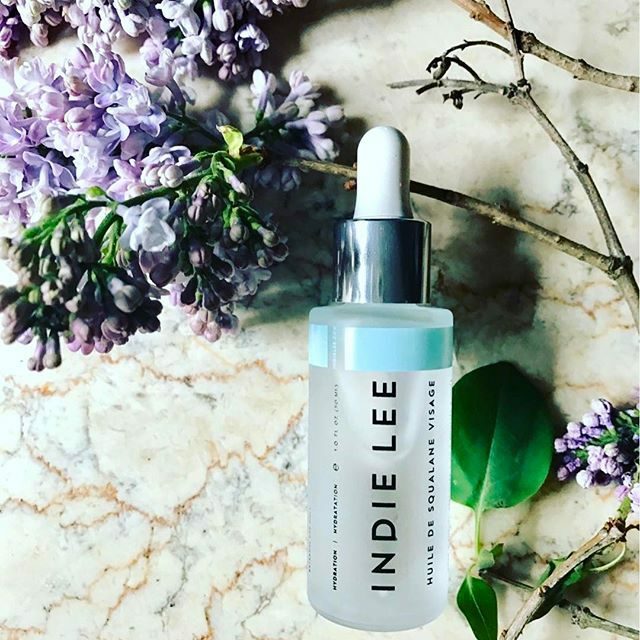 As our readers know, we feel a significant portion of self-care is being aware of the effects that different products can have on your body, so it is a natural fit that we are crazy about this brand as Indie Lee created her namesake brand upon this belief. After being diagnosed with a brain tumor in 2008, her doctors informed her that the cause of her tumor was likely due to environmental toxins. She credits this as her “a-ha” moment and has since created an entire line of products you can feel good about putting on your body. What she describes as ‘Green Glamour” the line from Ms. Lee is chicly packaged, totally free of the nasty preservatives and carcinogens we need to steer clear of. She has created a range of skincare products, such as oils, bath soaks, toners, cleansers, lotions and anti-blemish products. We were excited to try one of her most popular products, the Squalane Facial Oil. This oil is made from 100% pure, olive-derived squalane oil and is intended to promote skin’s elasticity, work out those pesky age spots, hyperpigmentation and boost brightness! With that impressive list of benefits we were even more excited to try this product, we luckily did not find ourselves disappointed! Since this product has zero additives, it also has no scent. To us this was seen as a major plus and worth noting as this makes it have an easy fit into our skincare routine, not interfering with any other stronger scents of other products. After cleansing, moisturizing and using our eye cream, we start to apply! The product comes with an eye dropper applicator making getting the perfect amount of product onto the back of our hand effortless. We used three drops for our face and neck. This is the only oil we have ever used that has zero oily or greasy feeling upon the first impression. Directly after application, we felt a more bouncy and elastic complexion was ours. It is massively hydrating though, and we could feel our skin taking in the oil like a drink of water on a hot summer day! The Squalane Facial Oil created a perfect canvas for our makeup, unlike many oils that leave a tend to leave an oil residue for a bit of time, we felt our skin was ready for our foundation right after tapping this product into our faces! After a few days of using this product day in and day out we are impressed with the newly balanced state of our complexion. There was a definite improvement with our areas of redness and discoloration! We also felt less of a need for a primer prior to our foundation after using Ms. Lee’s Oil. Our skin is softer, bouncier and best of all we know we are using a product that is good for our body! Even if you are already using an oil you love, we would recommend adding this product. It is reasonably priced and you really don’t need a large amount of it to make an important impact on your skin. We would recommend this product for any skin type. Particularly for those of us who have sensitive skin as this is a totally natural oil. It doesn’t matter what your complexion needs this holy grail product can definitely deliver. Indie also puts a huge emphasis on education (just another reason for our growing admiration). On her website, you can find guides for both good and bad ingredients. This can be a helpful resource for those trying to clear the toxins out of their beauty cabinet ( closet if you’re us… but who is counting?). Even beauty masters can use this amazing resource as a refresher on what to steer clear of. We will be spending our weekend clearing out the negative from our collection and we suggest you do the same. It is spring cleaning time after all! Let’s all be kind to our bodies by tossing the toxins! While we are talking about providing our bodies with the best possible ingredients, we have been snacking on something that we have to share with you! We are totally guilty of having a sweet tooth. It can be hard to find snacks you can feel good about, and leaving you satisfied! 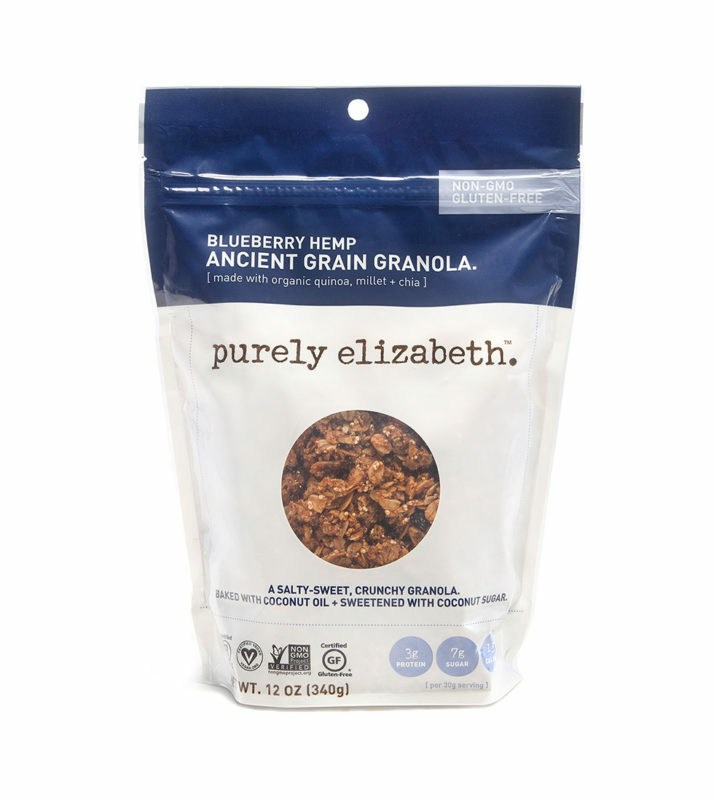 Purely Elizabeth Ancient Grain Granola has really been able to satisfy this craving for us! This yummy snack is gluten free, vegan and only sweetened with organic coconut sugar so you can really feel good about popping a few pieces of this in your mouth for fuel throughout your busy day. Our favorite is the Blueberry Hemp Flavor, we love the flavorful soft blueberry bites mixed in with those crunchy clusters! We have been snacking on handfuls on the go during busy days but we look forward to creating desserts with Purely Elizabeth products this summer and spring for family get togethers! The possibilities are endless! Purely also has a huge range of products including some with probiotics that are good for you, and just plain good! Do yourself and body a favor and dig in with this yummy treat!